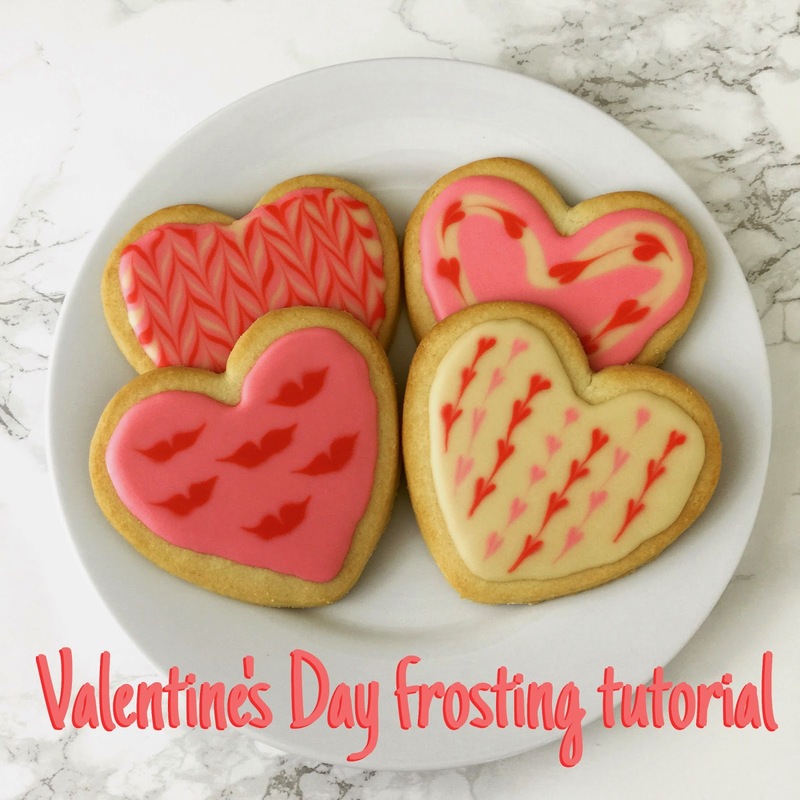 Lisa loves John: Valentine Frosting Tutorial! 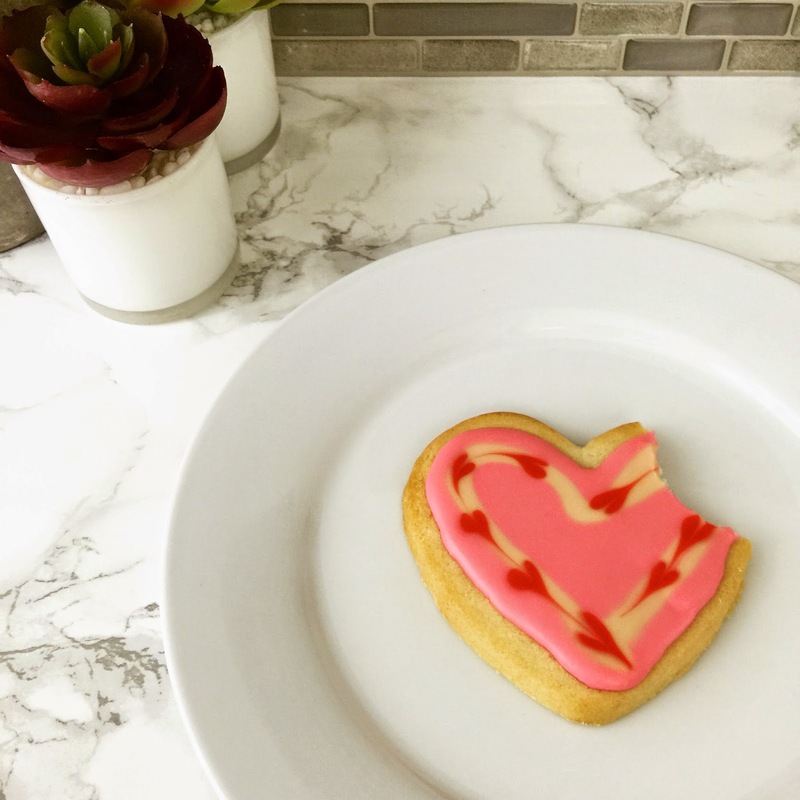 I’ve always loved (and swooned over) beautifully frosted cookies, and last year I posted a Valentine's Day frosting tutorial that I just had to share again. Much to my surprise, it was quite easy to make fun designs and marbled effects. And although royal icing doesn’t always taste the best, it is very easy to work with and actually quite forgiving! By the way, if someone has a royal icing recipe that actually tastes good, please share your secret! 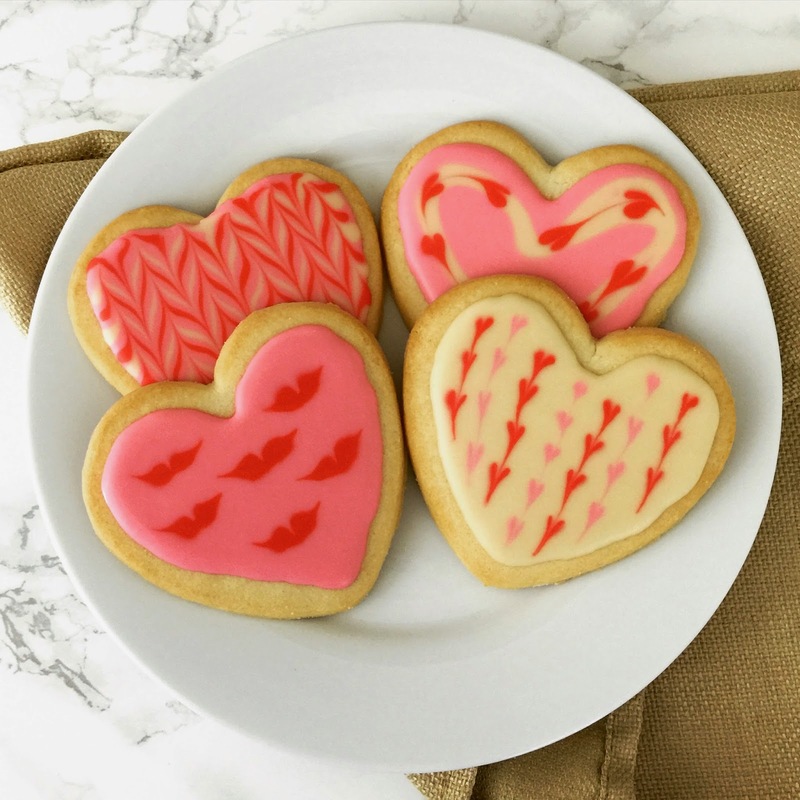 These frosting techniques will work on any type of cookie, but to be extra festive, I used heart-shaped cookies... just make sure your cookies are fully cooled before starting! To make the royal icing combine 4 cups of powdered sugar, 2 tbs of meringue powder, 2 tbs of an extract of your choice, and 1/3 cup of water into a mixer and mix until smoothly blended. I used a vanilla extract, but it did tint the white frosting a bit - use a clear extract if you want your frosting to remain pure white. Divide the frosting into smaller bowls and add food coloring. Pour the colored frosting into piping bags, and at the end of each piping bag cut a small hole (or, you can be fancy and use a piping tip!). If you don’t have cake decorating bags, you can also use a sturdy Ziploc baggies (don’t use anything too cheap, because they will bust open!). 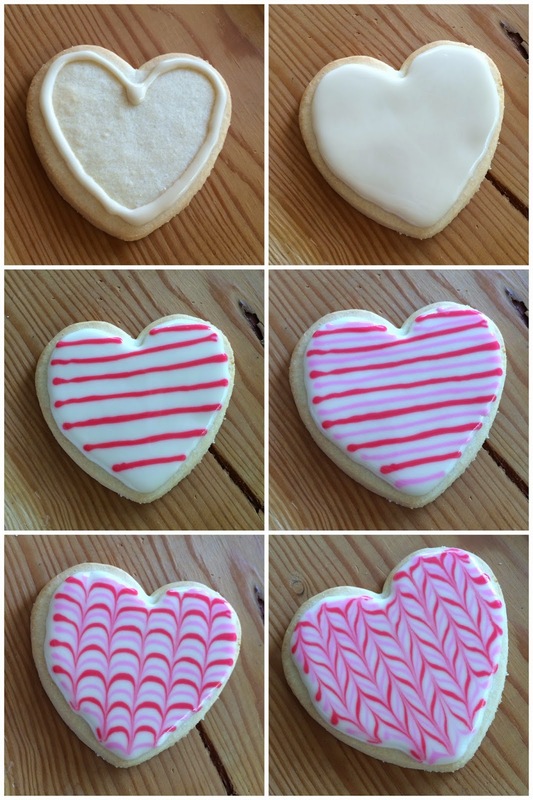 - Begin by piping an outline of frosting around the border of the cookie. - Let the outline sit for 30 seconds and then fill in (flood) the center of the cookie. - Give the cookie a little shake to smooth out the frosting. - Next, add horizontal lines of frosting across the cookie. - Then, add a second set of horizontal lines in between the first set. - Give the cookie a few taps to settle the frostings together. - Using a tooth pick, draw vertical lines through the frosting starting from top-to-bottom. - Lastly, using a tooth pick, draw vertical lines from bottom-to-top in between each vertical line already drawn. 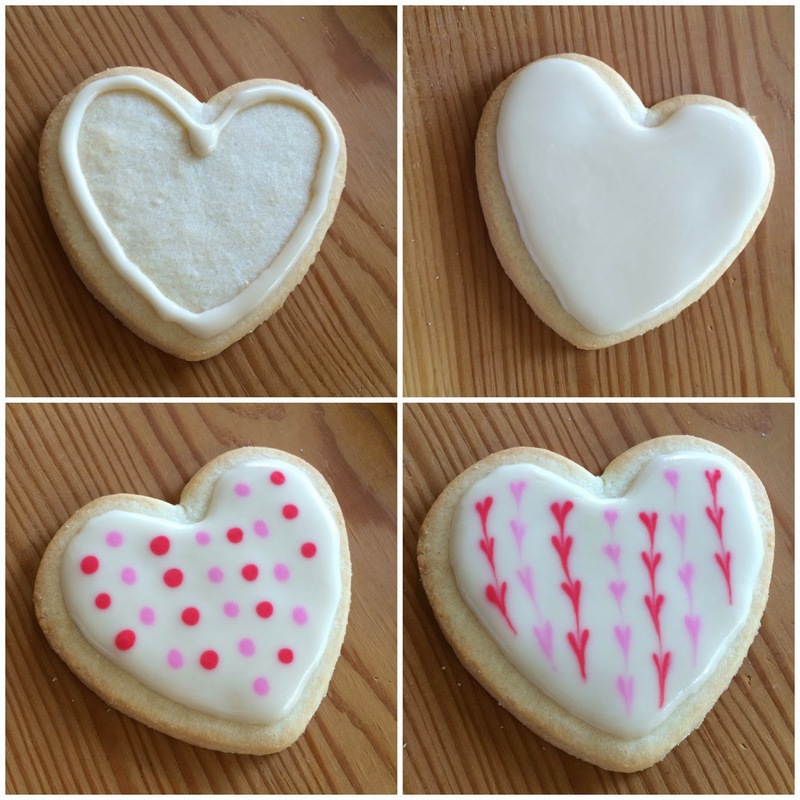 - Next, add dots throughout the cookie where you want the hearts to be... larger the dots, larger the hearts. 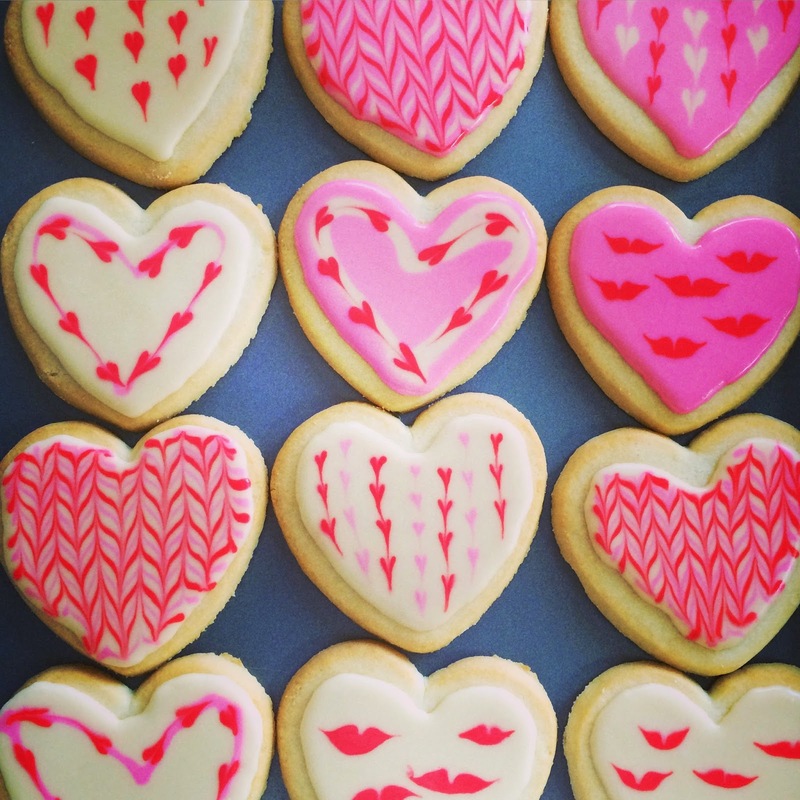 - Lastly, using a tooth pick, draw vertical lines through the dots, dragging the frosting down to create hearts. - Next, add oval dots throughout the cookie where you want the lips to be... larger the ovals, larger the lips. - Using a tooth pick, start in the center of the oval and draw horizontal lines moving out on each side of the oval to create the corners of the lips. - Lastly, using a tooth pick, draw a vertical line through the center of the oval, stopping about halfway through to make the center of the lips. 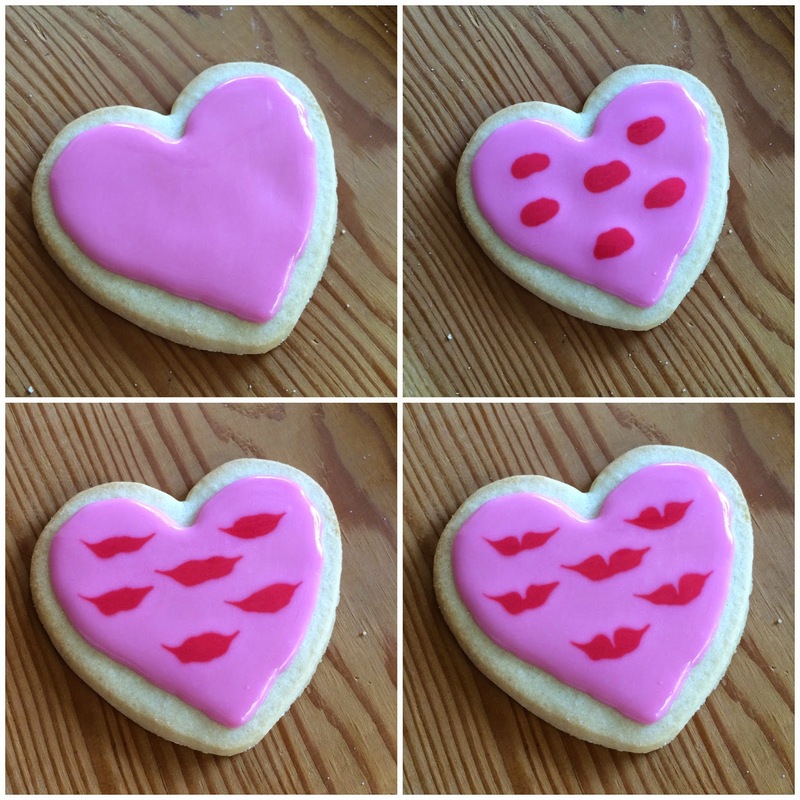 - Next, draw an inner heart in the cookie around the border (but not quite on the edge!). - On the inner heart, add dots where you want the hearts to be... larger the dots, larger the hearts. 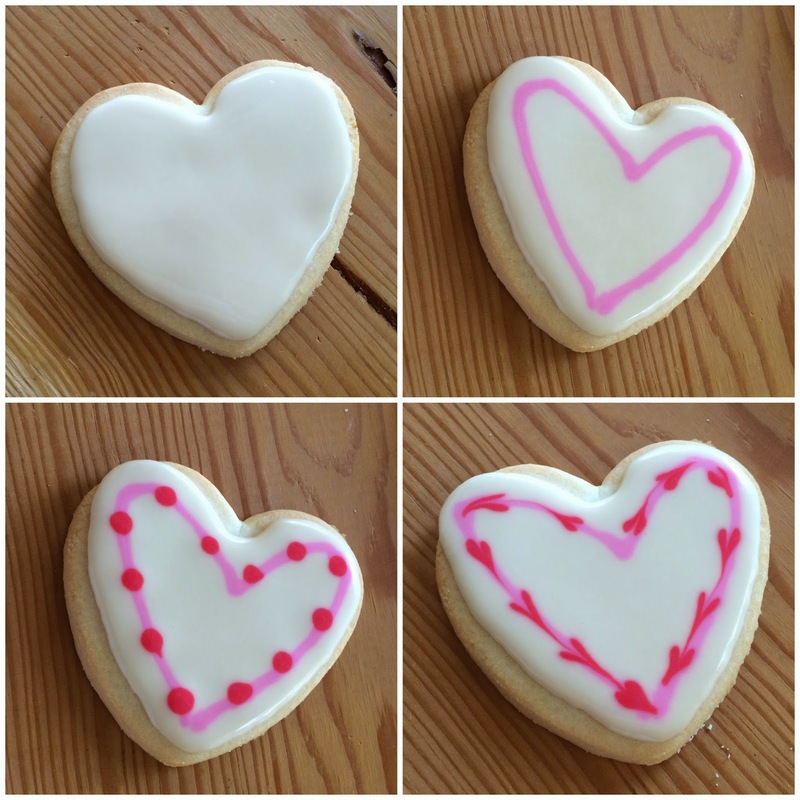 - Lastly, using a tooth pick, draw lines through the dots, dragging the frosting down, in the direction that you want the hearts to be. With very little practice, you will be shocked at the cool designs you can make! Let the royal icing sit for about 2 hours before storing (or, you can just eat them right away like my hubby does!). Wow, these are so beautiful! I never would have guessed they were so easy to work with! loooove this. and yes...where is a delicious royal frosting recipe?! Wow - I cannot believe how talented you are!! I am pinning this right now. I especially love the little lips! Those look so pretty and probably taste so yummy! well aren't those just the cutest little things ever! Pinning. These are so so cute, Lisa! Perfect! I'm so impressed with your decorating abilities. Do you just use food coloring for the colors? I'm going to link back to this tomorrow if that's ok with you! Thanks for sharing this post again!! 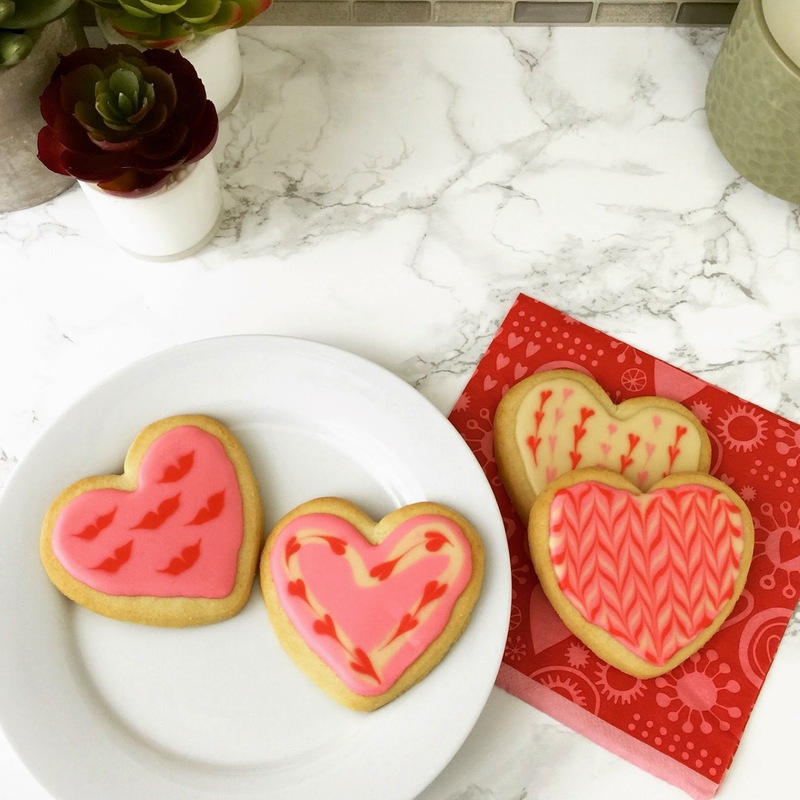 I was just thinking of making some nicer cookies for Valentine's day! Those are so stinkin' cute! Almost too cute to eat. I saw a video on facebook for these! I'm definitely going to need to try this out! They are just so cute! I have a recipe on my blog!! I'll find it for you. I took a class in NYC with Toba Garrett who suggested flavoring royal icing with flavor that match colors - so cherry for red, strawberry for pink, lemon for yellow... etc. we used candy flavoring a or extracts! This is perfect!!!!! Thanks for sharing! Now I want to make them asap!! I tried to make royal icing over christmas but couldn't for the life of me find Meringue powder! Where did you find it! (3 grocery stores later... still nothing! Hah!) These are so gorgeous!